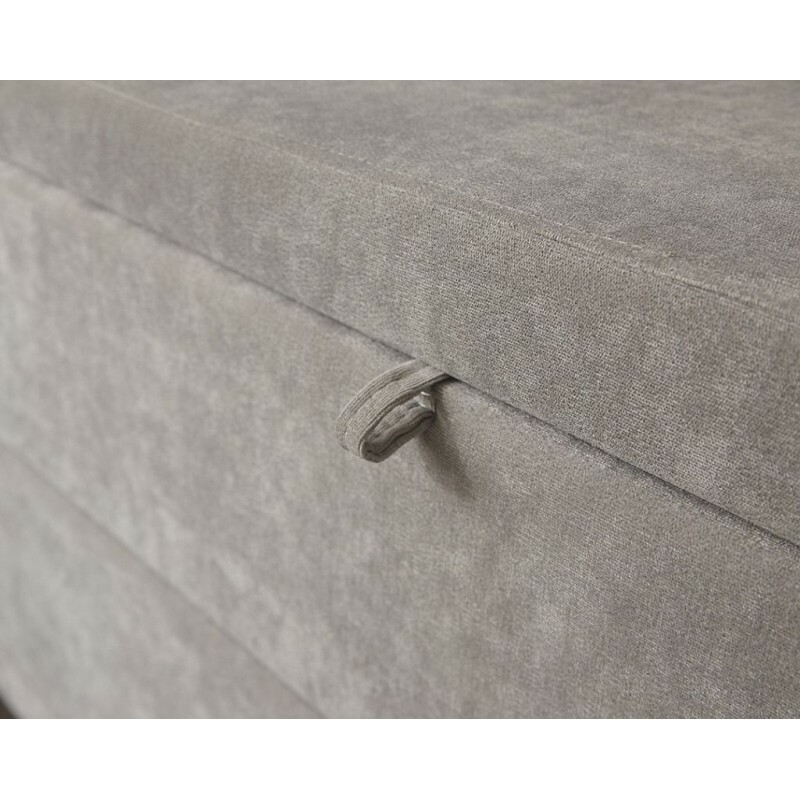 This 2 drawer mink Ottoman box consist of 2 large drawers and is upholstered in the finest chenille-style fabric. 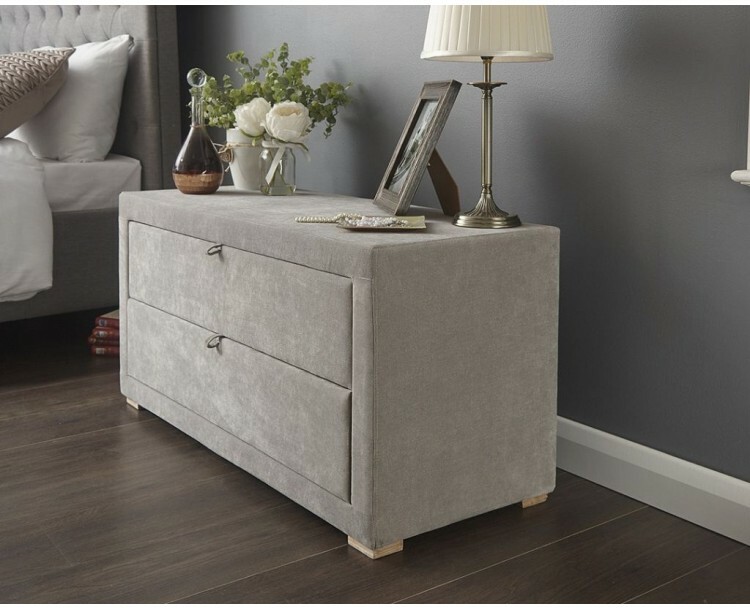 The sleek dark wooden feet adds style and character to this already great furniture. 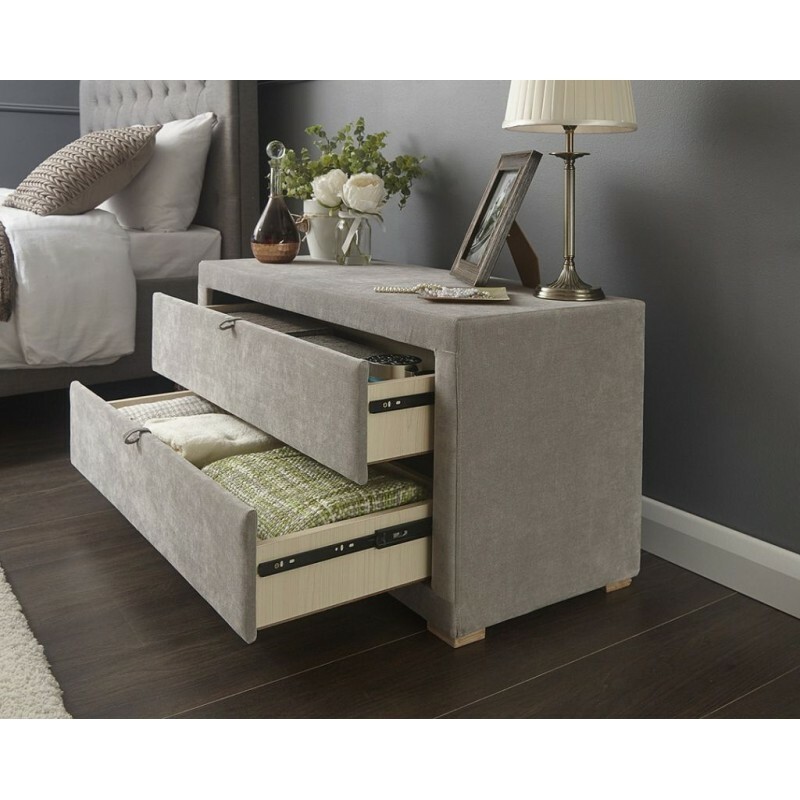 This furniture is made to the highest standard which will make it an investment for year to come. 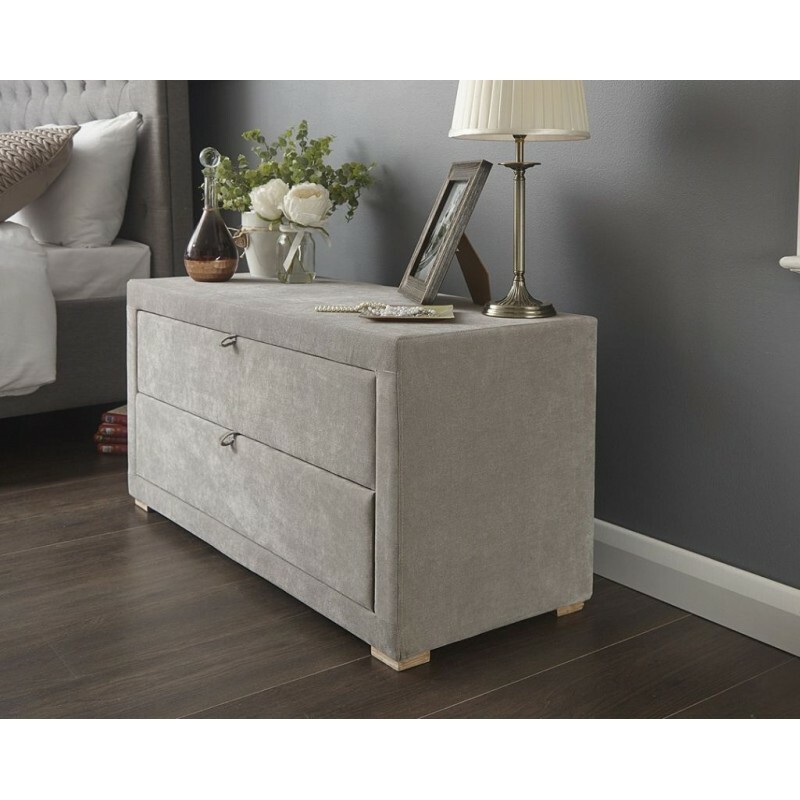 This minimalistic design Ottoman blanket box is designed to compliment most bedr..